Bibliographic Title: Durham 1196-1237. M. G. Snape. 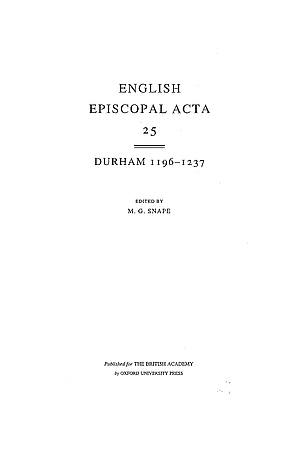 English Episcopal Acta Volume 25. British Academy, Oxford University Press. Oxford. 2002. Note: Only charters with location data are shown.